License: This is a commercial product made by SandKlock. It cannot be modified for other than see more personal usage. The "personal usage" means the product can be installed and set up for ONE domain name ONLY. To be able to use this product for another domain names you have to order another copy of this product (license). This product cannot be redistributed for free or a fee without written permission from SandKlock. The mod going to be updated with every Dolphin release: No, but we guarantee that we will update our modules asap when having any problems with the newest version of Dolphin. 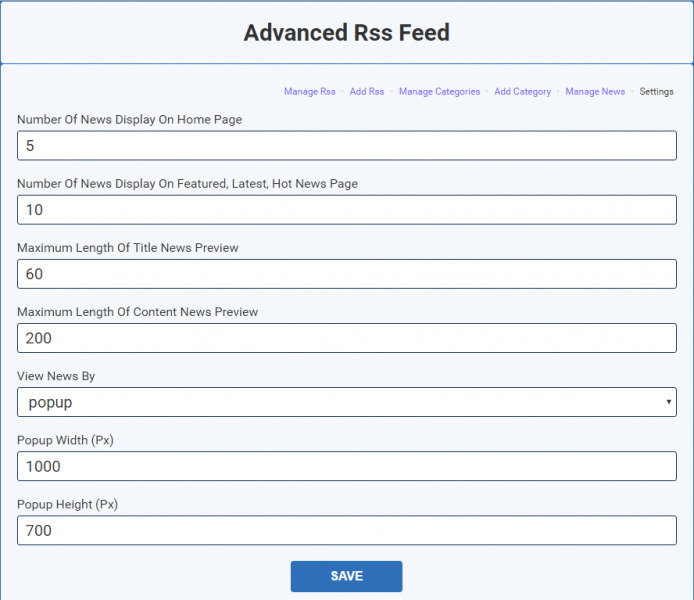 Advanced Rss Feed is a rss reader that allows you to grab the news feed from other news sites, saves it into database and allow users view, rate, share, comment... the news. You can store news as much as you want. 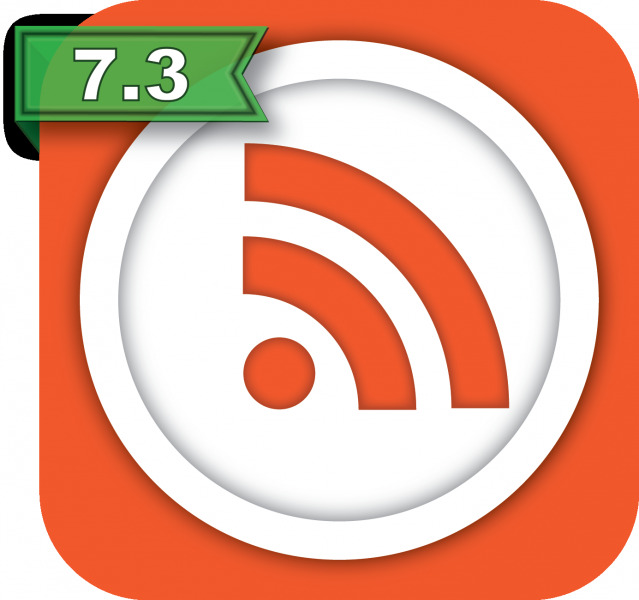 Supported RSS 0.90, 1.0, 2.0 and ATOM 1.0 versions. 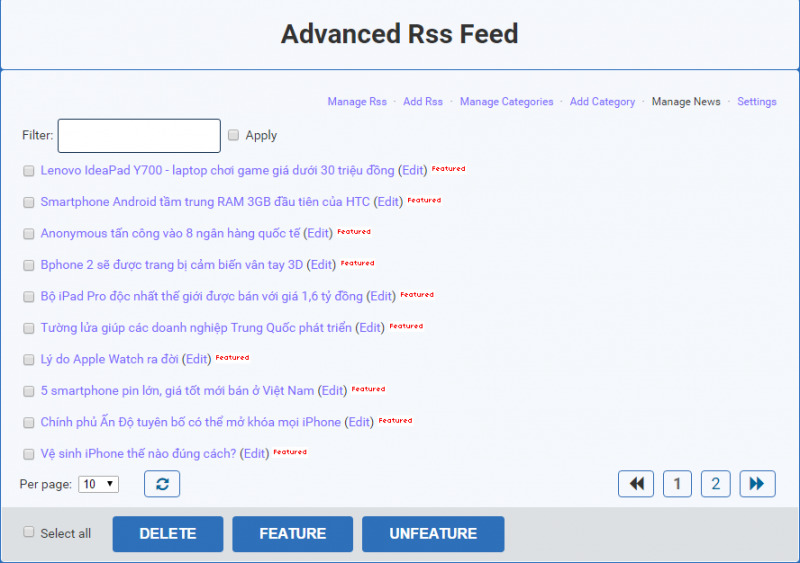 Supported category for manage RSS easily. Automatic update news in schedule. Automatic feature news when grabing news. 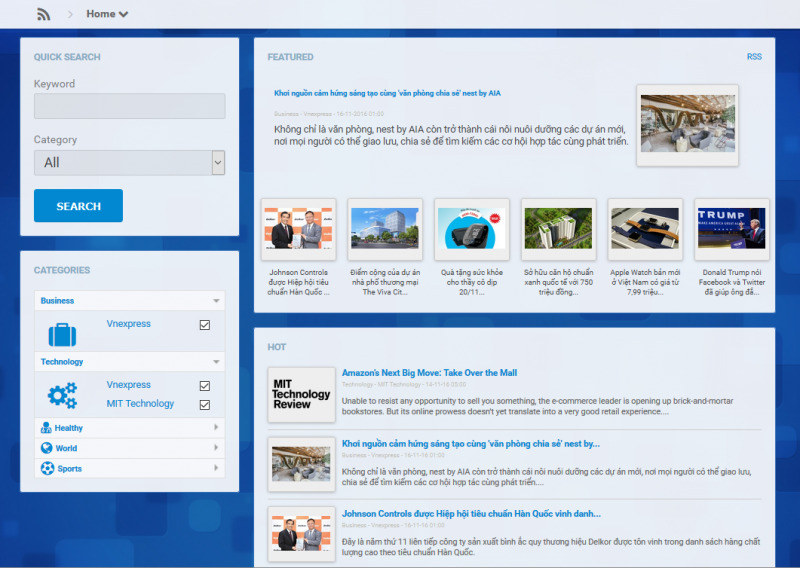 Featured block in home page to attract user. Number of news display on Home page. Number of news display on Featured, Latest, Hot News page. Maximum length of title news preview. Maximum length of content news preview. 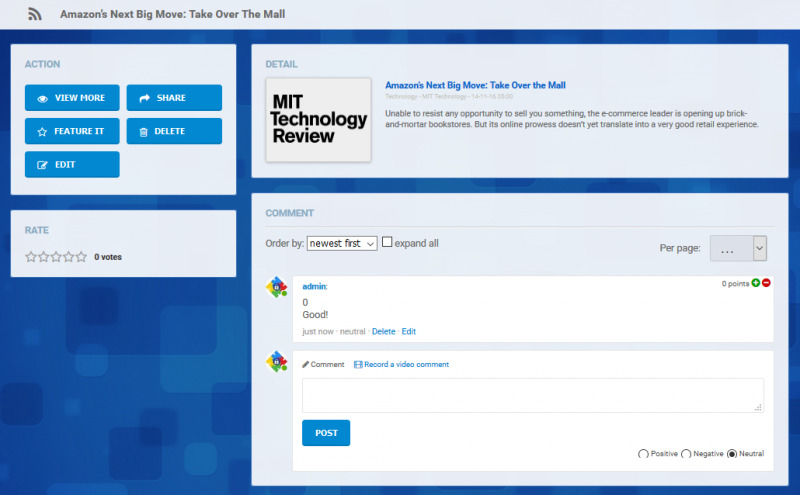 Admin can manage category/rss/news feed.